B-Cycle rental kiosks, from their website, as of 5/16/16. Traffic Study Speed Reports contain time-aggregated vehicle volume collected from road tubes. The Growth Concept Map assembles compact and walkable activity centers and corridors, as well as job centers, and coordinates them with future transportation improvements. These centers and corridors allow people to reside, work, shop, access services, people watch, recreate, and hang out without traveling far distances. Within them, the design and scale of buildings and the design and availability of parks and gathering spaces will welcome people of all ages and abilities. They will be walkable, bikable, and connected to one another, the rest of the city, and the region by roads, transit, bicycle routes and lanes, and trails. The activity centers and corridors included on this map identify locations for additional people and jobs above what currently exists on the ground. Unlike more detailed small-area plan maps, the Growth Concept Map provides broad direction for future growth and is not parcel specific. Centers that are already established by existing small-area plans, such as those for East Riverside Drive or Highland Mall, are drawn to reflect those plans. Centers without small-area plans are simply shown with a circle, indicating scale and general location. Specifying boundaries for these centers may occur through small-area plans or general guidelines for implementing this plan.  This dataset identifies the locations of traffic studies conducted by the City of Austin Transportation Department.